Resetting your iPhone to factory settings is a good way to solve issues, and important if you want to sell it or give it to someone else. 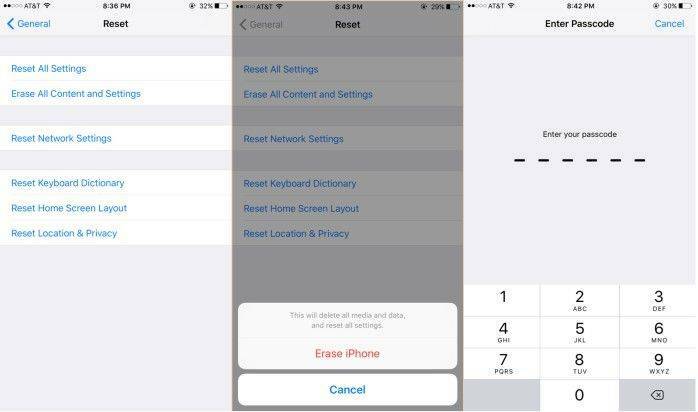 This guide will explain you how to reset iPhone, which is very important if you need to erase data from a device and fix lag and stuck problems. When selling an iPhone , it's necessary that you clean all the sensitive data. If not, any buyer could access to your social media accounts, your financial information and even your personal photos and videos, enabling them to browse through your private moments or steal your identity. A factory reset can also help fix issues such as crashing or freezing, or facing unknown problems. Resetting and wiping a device can fix problems that cause the device to get stuck in a loop, appear sluggish or otherwise impair performance. It's not a guarantee, but you'd be surprised how often it works. Scroll to the very bottom and tap Reset. Once the process is complete, your iPhone will restart and you'll be presented with the "Slide to set up" welcome screen, set up your device. If you want to know how to reset iPhone to factory settings then follow this method, this will make sure your iPhone comes in same condition like it was brand new out of box. 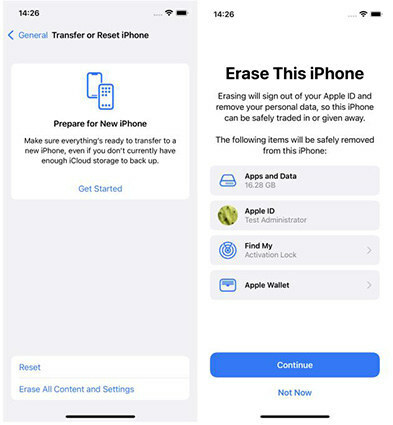 One thing must be noted here again that this method will also erase all data so make sure you have backed up your important data before following this method. Hold the power button until the slider screen as shown in below image appears then slide to right to power off your iPhone 6. Now, press and hold iPhone 6 home button then connect it to the USB wire and connect to your computer. You will see Apple logo which will turn into recovery logo shortly. Now open iTunes on your computer. It should show a message confirming that you're in recovery mode. 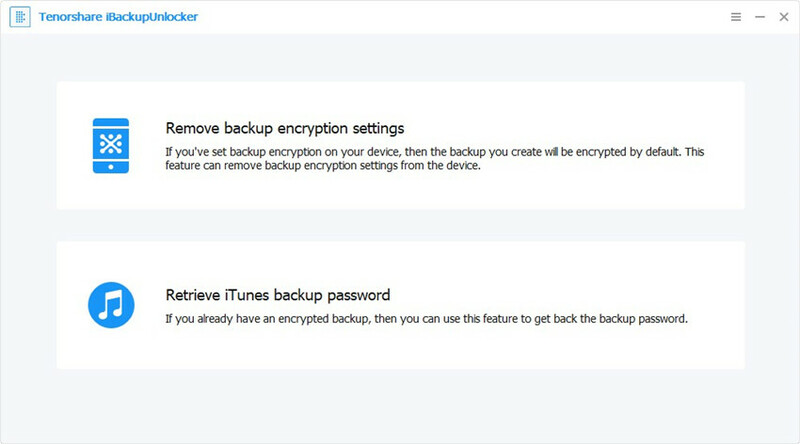 In that box you can then click "Restore", as seen in below image, to restore the device with your old backup file. All of the above methods require passcode in order to reset your iPhone, if you have forgotten your password then don't worry we have a solution for you. If you want to know how to reset iPhone without password, Tenorshare ReiBoot will be your choice. Step 2: Click "Fix Now" to Proceed When your iPhone is working normally, you'll see an interface like below. You can click "Fix Now" to repair system to improve the iPhone performance. Step 3: Now click "Fix Now(All iOS 11 stuck)" and follow on screen instructions. We explained some of the most common ways you can use to reset your iPhone, which includes recovery mode and iTunes. At the end we have also recommended an awesome tool which will Reset your iPhone and fix stuck issues without knowing the passcode. It's a one click solution to all of your iPhone stuck issues.